In deep fat fryer or heavy saucepan, heat oil to 325°F. In small bowl, mix chocolate hazelnut spread and caramel; set aside. 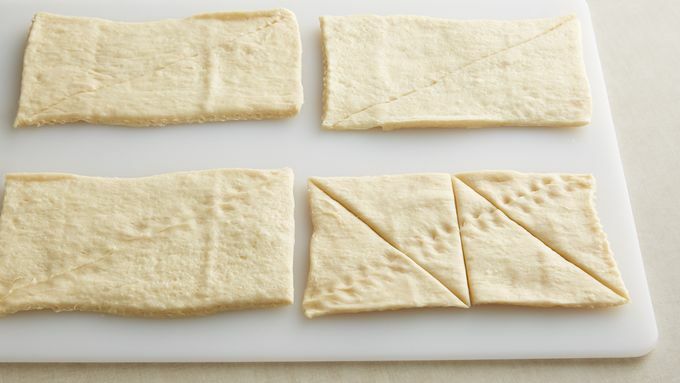 Separate dough into 4 rectangles. Working with 1 rectangle at a time, press to seal diagonal seam on both sides. Cut rectangle into 2 squares, then cut each square diagonally into 2 triangles. 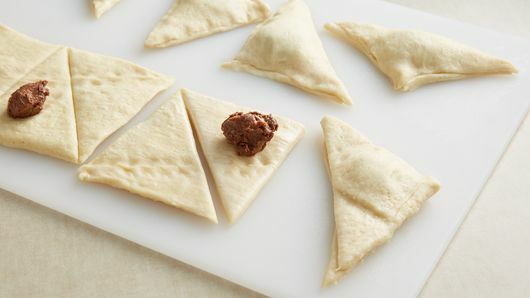 Place rounded teaspoon of filling in center of triangle half; moisten edges with water. Top with matching triangle half, and pinch edges to seal while working air out of filling pocket. Place in refrigerator, and repeat with remaining dough. Working in batches, fry sopapillas 3 minutes, turning several times for even browning. Drain on paper towels; sprinkle with powdered sugar. 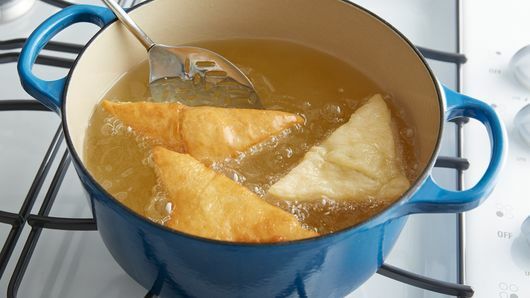 Be sure to seal the seams of the dough completely to make sure the sopapillas don't pop open during frying. 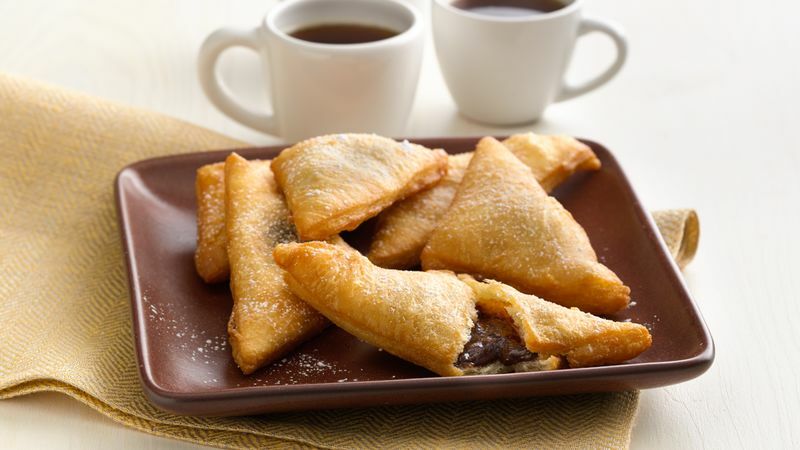 Experiment with different fillings to make these tasty sopapillas your own!